Do you find it hard to train by yourself or find the motivation? Group Training sessions could be just for you. Come and train at your own pace with like-minded others who will help push you on to achieve your goals, be it getting into shape, losing weight or gaining more strength and conditioning. During September, Catalyst are offering all new clients their first Group Session FREE OF CHARGE. 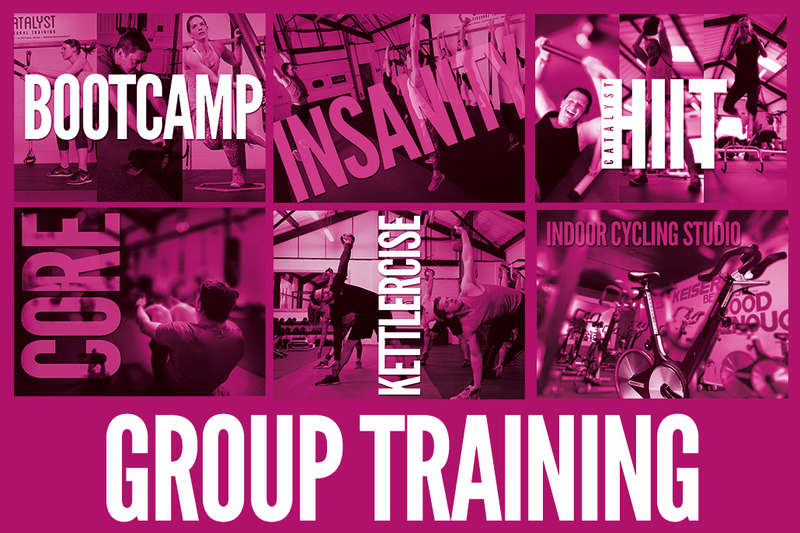 We want you to come and experience how Group Training sessions can benefit you and your personal training, they are fun, have an intensity which motivates you and is also fun! You can find out more about what is involved with each Group Training session and how it can benefit your training by visiting the Group Training page of our website. If you are a new client and want to try our Group sessions and get your first session FREE OF CHARGE, please contact us to book your place.